For the first time in Call of Duty, gamers play as the underdog, fighting as part of a single squad against an enemy that has superior numbers and firepower. 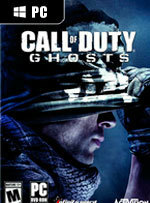 Call of Duty: Ghosts’ genre-defining multiplayer delivers gameplay innovations throughout, including dynamic map events and character customization. Call of Duty: Ghosts isn't a reinvention of the franchise, but proves there's still room for innovation within its existing formula. 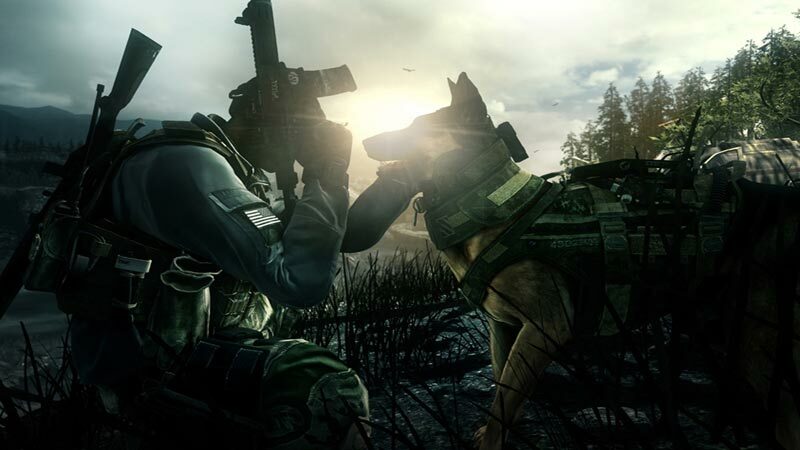 Though at the risk of overcomplicating things at times, its robust multiplayer gameplay, surprisingly fun co-op modes, and lengthy, challenging, and varied campaign makes Ghosts one of the best Call of Duty games to date. The PC version of Call of Duty: Ghosts is a buggy and mediocre version of an already middling experience, but thankfully, it looks great when the textures load–and most of the issues are fixable through future updates. Until then, it isn’t something that I would recommend to most people, especially those who have come to expect a solid frame rate on current-gen consoles, let alone PC. Despite leaving the Black Ops and Modern Warfare names behind, this is not a huge departure from what those games are. In fact, Infinity Ward takes all of best parts of this generation’s previous offerings and crams them back into Call of Duty: Ghosts. The solid foundation for multiplayer and single player isn’t going to disappoint Call of Duty fans, but it’s also not going to surprise them with anything revolutionary. If you’ve played previous Call of Duty games, you’ve been down this path before. 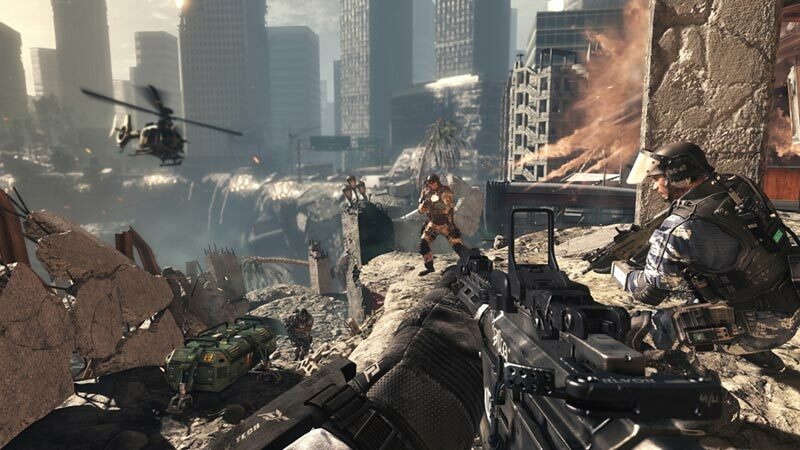 Call of Duty: Ghosts is not a revolution, or even an evolution, for the Call of Duty series. It brings nothing new of value to the table, and while the multiplayer is fun and the single player has a few fun moments, there is nothing on offer here that hasn’t been done (in most cases done better) in the previous games. Call of Duty may have picked up a reputation as one of the laziest, most callously developed cash cows in the business, but I've always believed that reputation was undeserved. Call of Duty: Ghosts, however, with its slapdash campaign and unambitious multiplayer, contains enough factory-standard cynicism to earn itself plenty of scorn. Nothing Ghosts does is especially bad, but nothing Ghosts does is worth paying any attention to. Everything else in the game is the same old addicting Call of Duty formula that you have come to know and love, just with new guns, new maps, and new perks. On the whole, the game feels like it’s more inviting to novices without being dumbed down. Maps are easier to navigate; Killstreaks are more ground based and less lethal, and novices can just grind out Squads mode for points before they hop on multiplayer. But there is still a ton of depth for vets, with a new expanded perk system that lets you mix and match perks from all categories. I don't doubt that every gun, perk, and killstreak reward in Ghosts was implemented and tweaked with a fine brush, but painting in every individual eyelash of the Mona Lisa wouldn't make it a better painting. That's what's been happening to Call of Duty: Modern Warfare since 2007—little bits have been scraped off and painted over again and again. With a broader brush, Activision and its studios might stop noodling around in the corners of Modern Warfare's greatness and paint something actually modern. Call of Duty relies on an incredibly intense, if not necessarily realistic, experience. Battlefield is completely different in its approach and play style. What fits yours will dictate where you'll want to wage your next year of digital warfare. As far as Call of Duty: Ghosts goes, from our time with the game, it's hard to find something else that offers so much to the player. Ghosts is the complete package. Enjoyable but highly flawed. Replace South Americans with Russians and it's every other entry in the series. Call of Duty Ghosts won't win over new fans, but neither will it loose the faithful. Parody runs high, but I doubt my words will sway you either way: you know if you're going to buy this piece of software, regardless of any review. Ghosts aparece en un momento delicado: Con las consolas de nueva generación ya casi en el escaparate, y la fórmula Call of Duty gastada tras años de guerra en las presentes consolas, todo ello acaba lastrando tecnológicamente a una versión de PC que no tiene ninguna culpa de todo ello. La munición de la saga escasea y es algo que ya empieza a notarse en este trabajo de Infinity Ward, que está muy alejado de las estratosféricas cotas de calidad que en el pasado ofrecía la franquicia. Es ist ein vom Umfang her beeindruckendes Paket, das euch Call of Duty: Ghosts in einer einzelnen Box ins Haus bringt. Leider ist es auch ein qualitativ stellenweise Durchwachsenes. Die Kampagne halte ich in einzelnen Momenten und Missionen für okay und vertretbar, als Gesamtes jedoch taugt sie weder inhaltlich noch spielerisch viel. Der Extinction-Modus hat die richtigen Ideen, braucht aber noch ein paar Verfeinerungen, um sie richtig auszuspielen. Supersoldaten, Pathos, Rache und ein eindimensionaler, wenngleich fieser Bösewicht: Das sind die Bestandteile einer mehr als schwach erzählten Story. Glänzen kann Infinity Ward im Gegensatz dazu wie immer mit der Kawumm-Inszenierung der Gefechte und Missionen, zudem sind viele Schauplätze toll designt und auch die Abwechslung kommt nicht zu kurz. Dies rettet Ghosts in der Kampagne auf ein knapp befriedigendes Niveau. Es gibt aber zu viele andere Shooter, die Einzelkämpfer besser unterhalten können. Eine gewohnt fetzige Solo-Kampagne (mit übrigens hitverdächtigem, weil total überdrehtem Ende) trifft auf einen so umfang- wie ideenreichen Mehrspieler-Modus. Natürlich ist das unterm Strich alles Serien-Standard, aber am Ende zählt für mich der Spaß. Und den macht Ghosts gewaltig. Zumindest, wenn man - wie ich - auf kleinere Infanterie-Kloppereien mit gehörig Tempo steht. Allerdings sollte ich addieren, dass sich Infinity Ward wie schon Treyarch im letzten Jahr nicht mit Ruhm beim Map-Design bekleckert hat, interaktive Level-Elemente hin oder her. 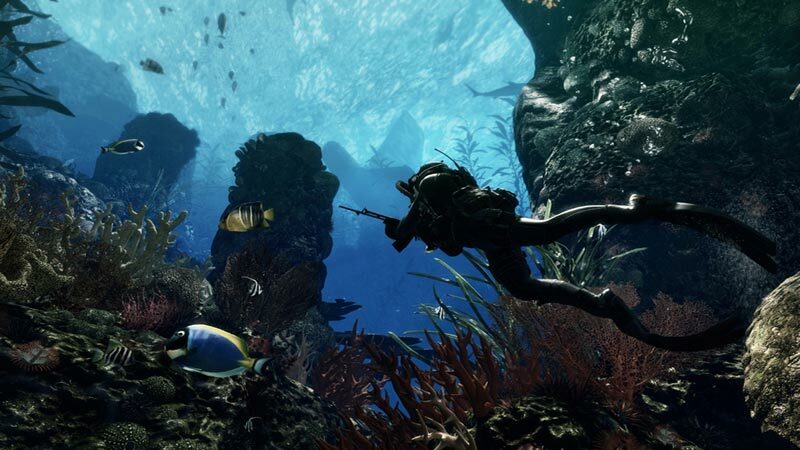 Call of Duty : Ghosts n'est certainement pas à mettre entre toutes les mains. Ceux qui y cherchent une expérience solo décoiffante peuvent passer leur chemin, mais ceux qui rêvent de parties multijoueurs intenses y trouveront davantage leur bonheur. La campagne pèche par de nombreux points, mais le multi propose des modes bien pensés qui tiennent en haleine. On apprécie particulièrement le mode Extinction qui propose de massacrer de l'alien en coopération avec trois autres potes. Après un Battlefield 4 totalement enthousiasmant en multi et terriblement décevant en solo, l'expérience Call of Duty Ghosts apparaît nettement plus homogène. Certes, le jeu n'est pas très beau, mais la campagne solo ne souffre d'aucun temps mort, tandis que les manières de jouer en ligne sont extrêmement nombreuses. 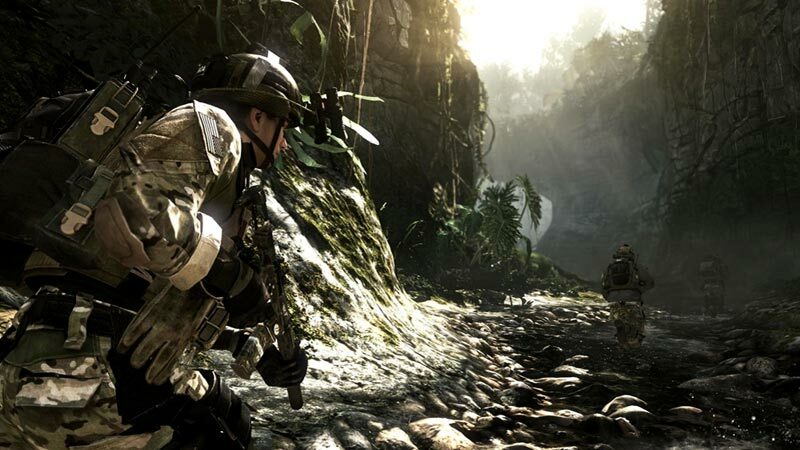 Call of Duty: ghosts bukanlah revolusi maupun evolusi bagi seri Call of Duty. Ada beberapa fitur dan variasi baru yang dibawa dalam seri ini namun tidak ada hal yang benar-benar baru dalam serinya kali ini. Sulit untuk mengetahui apa penyebab dari hal ini, apakah karena kekurangan inspirasi atau hanya ingin menghasilkan uang dengan cara cepat. 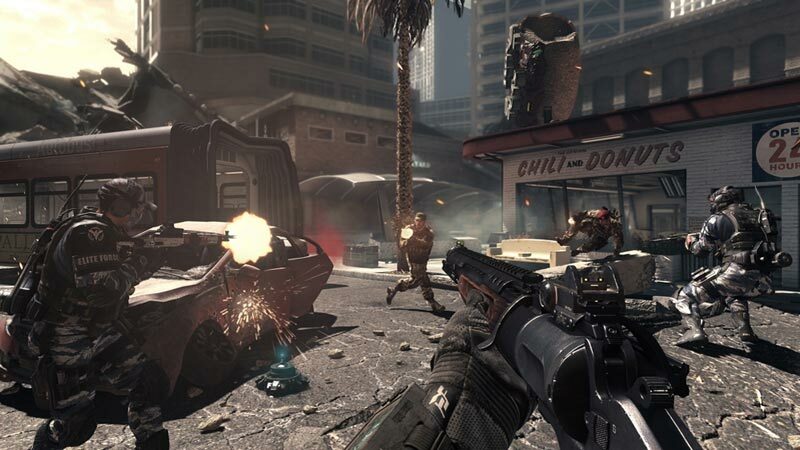 Call of Duty: Ghosts is een degelijke game die doet waar het spel goed in is: een first-person shooter neerzetten die op vele facetten krachtig uitpakt. Losgezien van wat oude gameplaymechanieken en een enkele bug staat de game als een huis. Als je een schietfestijn wilt hebben met tig opties is Call of Duty: Ghosts de ultieme afleiding in regenachtige dagen. Wel zorgt de game - zelfs bij de liefhebber - voor een lichte nasmaak. De X-factor is niet meer zo sterk aanwezig als een paar jaar terug. Te vaak heb je het gevoel het pad al bewandeld te hebben.